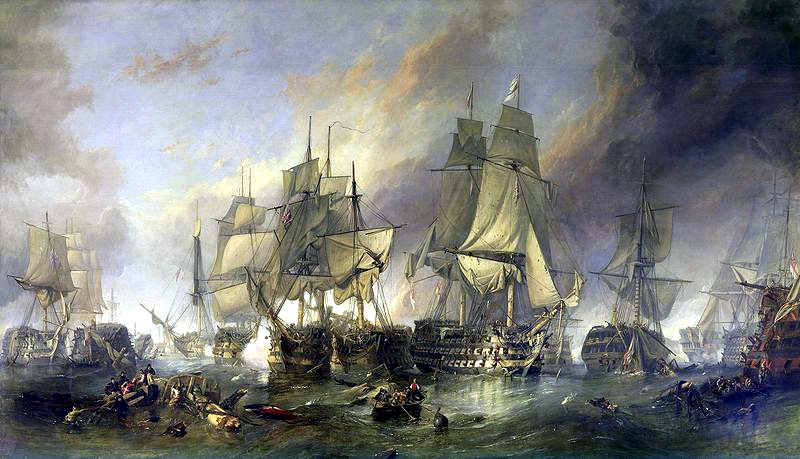 Captain James Faulkner was arguably the most famous Realmish frigate commander of the last war. Faulkner was born in 612 and spent his youth in the north-eastern town of Oldfort where his father, John Faulkner, was headmaster of the local school Elmswood. He is the oldest of four children, only two of whom survived to adulthood. His younger brother, Thomas, is currently studying at the Royal War Flying Academy, Lord Morgans Island. In 620, Faulkner began school at Elmswood. From an early age he was adamant that he wanted to go to sea and he was a restless and mediocre student. Although his parents had initially opposed his desire to be a sailor, in 626 they reneged. 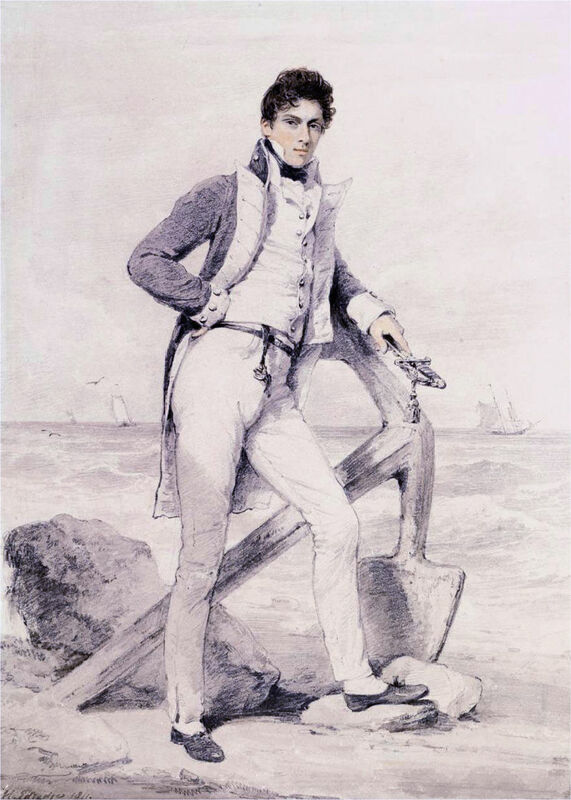 Without any naval contacts of his own, John Faulkner sought help from a local parson, Henry Barry. Henry’s brother, Charles, was captain of the 74 gun Colossus and he agreed to take on Faulkner as a midshipman. Faulkner had only been aboard Colossus for a month when war was declared. Faulkner took to life in the navy and quickly gained a reputation as a cheerful and resolute lad. He also became something of Barry’s favourite, notwithstanding the dozen lashes he received in 627 for a series of pranks he played on a boatswain. In 628 he was badly wounded during a cutting out expedition on the Auerswald coast. Although he hovered near death for a time, by the end of the year he had recovered sufficiently to return to the ship. Early in 629 Barry recommend him for promotion to lieutenant. Having passed his exam on the first attempt, he rejoined Colossus as her fourth lieutenant. He came to the nation’s attention soon afterwards due to his conduct during the Battle of Iron Cape. At the height of that great fleet action, the Auerswaldian admiral turned to flee and, seeing the enemy were likely to escape, Barry wore the Colossus out of the line to cut off their retreat. In desperation the enemy admiral threw three of his manticores at the ship. Although two of the creatures were killed before they reached Colossus, the third beast crashed down on the quarterdeck, killed most of the officers there and hacked away Barry’s leg. Undaunted, Faulkner and Major Cumby of the marines stood their ground and managed to kill both the manticore and its rider. With Barry badly wounded and the other lieutenants dead, Faulkner was forced to take command of Colossus. Continuing straight into the action, he captured the 80 gun Markgraf and cut off the enemy retreat, ultimately leading to the capture of the four other ships of the enemy rearguard. In reward Faulkner was appointed to second lieutenant and voted a gift of 200 crowns and a gold medal by a grateful Century Council. With Colossus destined for a long repair in Stormhaven’s yards and Barry facing an even long convalescence ashore, Faulkner was transferred to the campaign against Caladia in the south. Reaching the fleet at its base on Cartia in the middle of 630, he was assign to Captain Price as second lieutenant on Glorious. This was a somewhat unfortunate appointment for a bright young officer. Throughout the fleet Half-Price, as he was disparagingly nicknamed, was viewed as a rather dismal and unenterprising captain. Faulkner spent his first year on Glorious conducting routine blockade duty with the main fleet until, in the spring of 631, they were detached to hunt down the Caladia privateer, Corsaro, in her lair on the island of Telarno. The expedition proved a disaster from the start. Price dithered and then finally ignored suggestions that they simply try and cut the frigate out. Instead he sent a party commanded by Captain Starling of the marines overland to attack the port from the landward side. Outside the town the Realmsmen stumbled on a Caladian patrol and Starling was killed and number of other men captured. Only Faulkner’s leadership saw the survivors regain the Glorious. Captain Price, aware a court martial almost certainly awaited him if he returned to the fleet after such a half-hearted attempt, then decided to attack the port directly with Glorious – despite the fact the Caladian’s were now well alerted to their presence. This foolhardy decision almost immediately led to calamity when, under fire from the Caladian batteries, Glorious struck a sand bar in the harbour mouth. After almost an hour of being battered by the Caladian guns, the first lieutenant shot himself and Captain Price was killed soon afterwards in the very act of striking. For the second time in his career, Faulkner found himself thrust into command in the middle of an action. Leaving only a skeleton crew aboard Glorious, he led the rest of his men in an attack on the closest Caladian battery and carried it. He then continued on to the Corsaro and after a short sharp action he captured the ship as well. Getting the privateer under sail he then used her to lay a kedge anchor to help Glorious free herself and then manoeuvred both ships safely back out to sea. On his return to the fleet he was promoted to first lieutenant and transferred to Conqueror. He also received another vote of thanks from the Century Council. 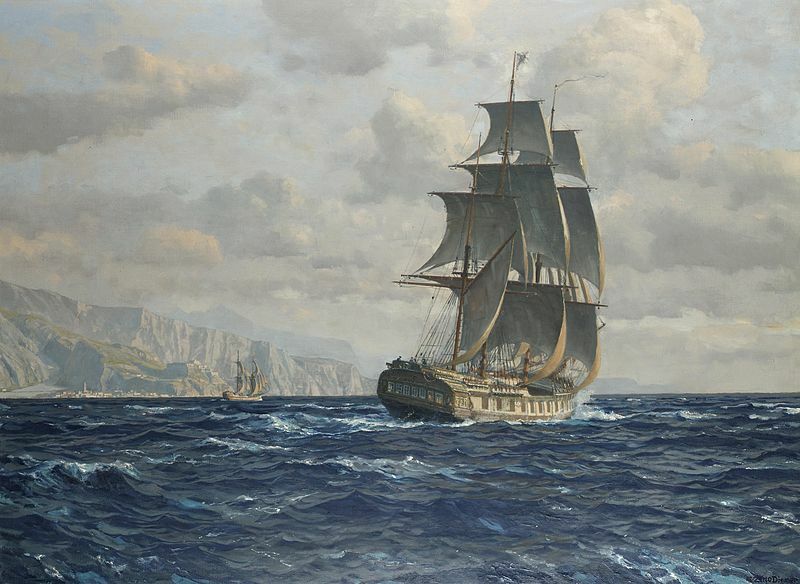 In 632 he was appointed master and commander of the sloop Larkspur. Given the opportunity to operate independently he took the Larkspur right into the Bay of Delago and captured numerous prizes. In the winter of 632 he also successfully covered a large convoy from Jaltanian privateers. For his actions he was promoted to captain of the frigate Inflexible. Throughout 633 and 634 he carried out further cruises and took more Caladian prizes. His gallant treatment of Caladia prisoners throughout this period also endeared him to his foes. His most famous action of the war was in the autumn of 635. During a gale he sought shelter in the Asare Roads and unexpectedly came upon the Caladia third rate, Comte de Agrippa. While a frigate is normally thoroughly over-matched by a third rate, the Agrippa had just had just managed to lose both her topmasts and mizzenmast in a squall. After a brief consultation with his officers, Faulkner decided to attack her. For almost six hours the Inflexible harried the larger ship through the heavy seas. Again and again she raced in to rake the larger ship’s unprotected stern. Although the Agrippa returned fire, her broadsides were largely desultory, although the Inflexible was still hit a dozen times. At seven o’clock with the day darkening, his powder all but gone and the wrecked Agrippa fast fetching up on a lee shore, Faulkner decided to board her. Though they still had the advantage of numbers, the fight had gone out of the Caladian’s and they quickly struck. Incredibly, despite the state of the two ships and the heavy weather Faulkner then managed to claw both ships off the lee shore. Particularly impressive was the clubhaul carried out by the Inflexible. 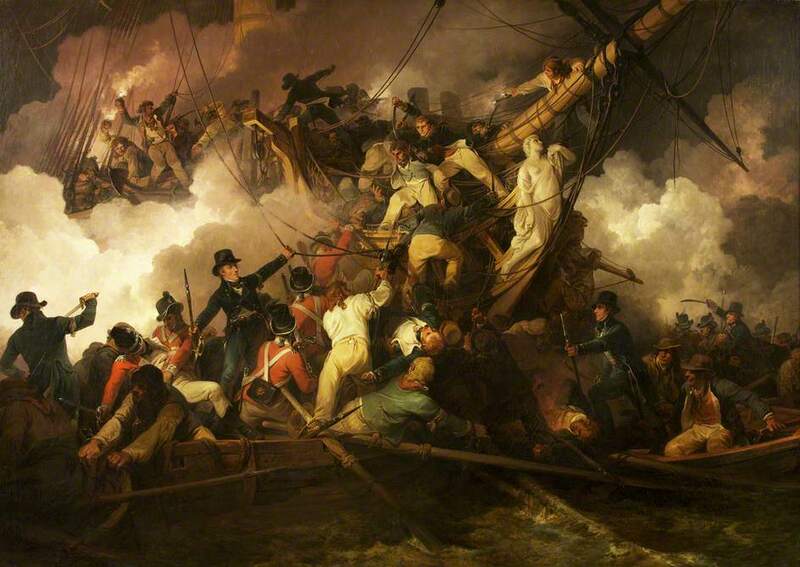 This has been described as the finest piece of seamanship of the last war. The capture of the much larger Agrippa made Faulkner an instant national hero and an idol within the navy. The king himself was said to have shown a keen interest in the action and Faulkner was awarded a patriotic sword and a gift of 1,000 crowns. There was talk of a knighthood, however this never eventuated, possibly due to how well advanced the peace talks were with Caladia. Faulkner passed the rest of the war quietly, while the Inflexible was under repair in Cartia. With the coming of the peace in 636 the Inflexible went into ordinary at Barbonne and Faulkner found himself stranded on half-pay ashore. He has recently returned to Stormhaven, but has made little impact on the social scene. Rumours swirl that his profligate spending in the south and recent reduction in circumstances may have left him deeply in debt.